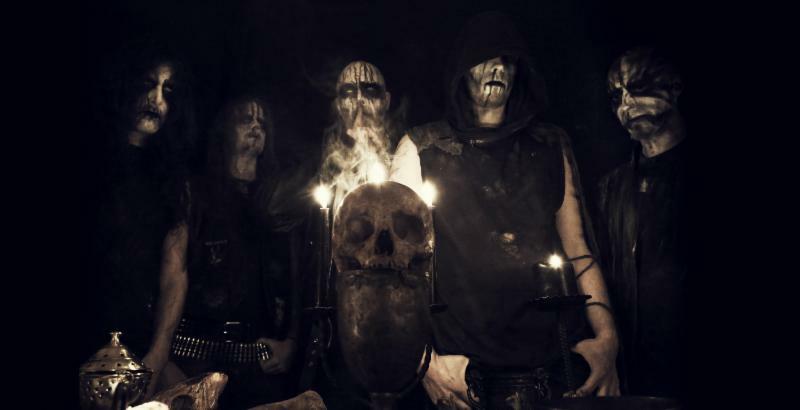 BELGIUM – Belgium’s leading black metal force, Enthroned, has teamed up with Noisey to launch a new track, “Of Shrines and Sovereigns,” from the band’s upcoming full-length,Sovereigns. Stream the new song today at: http://noisey.vice.com/blog/enthroned-of-shrines-sovereigns-from-sovereign-LP before Sovereigns hits stores on April 15 via Agonia Records. Sovereigns can be pre-ordered now in digipack CD, black vinyl, bone-white vinyl with green splatter limited to 100 hand numbered copies and exclusive BOX CD limited to 333 hand numbered copies (including: the new album released in exclusive jewel case edition, embroidered patch, flag and a lighter with band’s logo) at: https://www.agoniarecords.com/index.php?pos=shop&lang=en. The follow up to the critically acclaimed, Obsidium (2012), Sovereigns was recorded and mixed in Enthroned’s own studio, Blackout Multimedia. The band’s 10th album drifts from sonic blast beats to oppressive slower parts, melds together aggressive shredding with forceful riffs, and blends satanic whispers with Nornagest’s trademark vocals. The release also welcomes a new drummer, Menthor, in the place of Garghuf and a new rhythm guitarist, ZarZax. 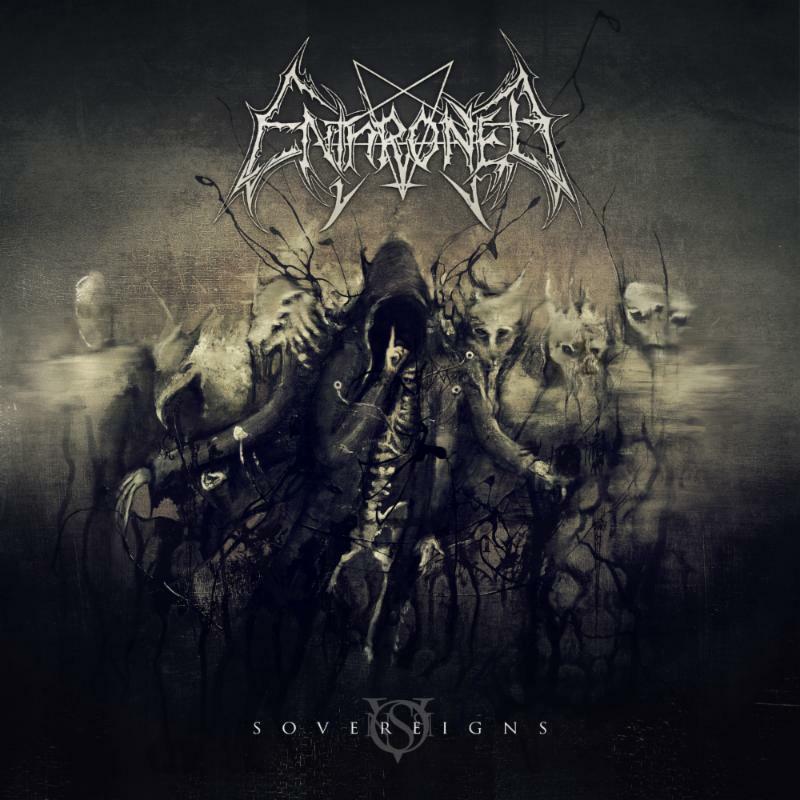 Stay tuned for more information on Enthroned and Sovereigns, out this spring on Agonia Records. This entry was posted in Artist, Bassists, Drummer, Guitarists, Heavy metal, Internet Radio, Metal, Music, Rock, Rock N' Roll, RockStar, Surrealist, Tattoos, Thrash Metal, Vocalist, Wornstar Clothing and tagged Agonia Records, Bleach Bang, Bleach Bangs, Bleach Bangs Radio, Charlie Owens, Enthroned, Fresno Media, Hard Rock, Heavy Metal, Menthor, Metal, Music, Neraath, Nornagest, Phorgath, Randy Norris, Rock, Rock N' Roll, Rock Star, RockStar, Sovereigns, the Hellion, the Hellion Rocks, ZarZax. Bookmark the permalink.